It’s hard to believe, but the new school year will be upon us before we know it. That means that kids across Northern Colorado will be headed off to college, and some of them may be looking forward to experiencing dorm life for the first time. 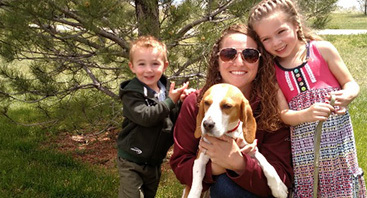 Checking for bed bugs before they move into their dorm room can prove to be very beneficial, and Advanced K9 Bed Bug Seekers in Denver is here to help make your child’s transition to dorm life as smooth as possible. Check out the warning signs of bed bug infestations and some of their favorite hiding spots, then contact us to schedule a bed bug inspection. Reddish-brown stains on bedding and mattresses. These smears are caused by bed bugs being smashed. Small, dark spots on sheets and mattresses. These spots are caused by the pest’s excrement after it feeds. Eggs and empty egg casings. Bed bug eggs are often located in small cracks and crevices. Live bed bugs. If you see one bed bug in your dorm room, there are likely many more in the vicinity. 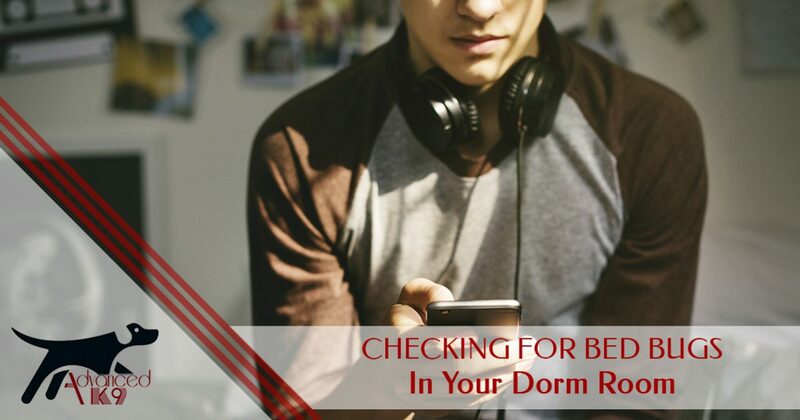 Now that you know the signs, let’s review some of the first places that should be inspected in your child’s dorm room. The Environmental Protection Agency has provided extensive information about how to find bed bugs. Bed bugs can squeeze into really small spots. A good rule of thumb to remember is that, if a credit card can fit into a crack, so can a bed bug. Check out their favorite hiding spots below. Bed bugs don’t like to stray far from their source of food. 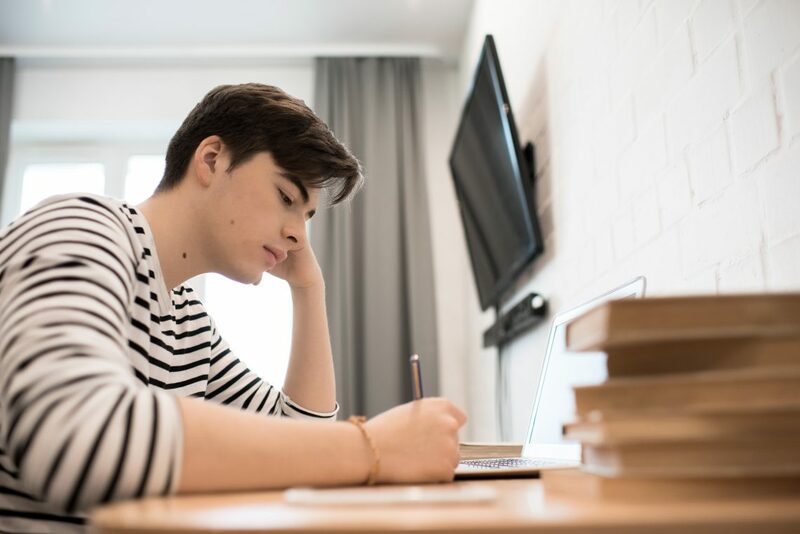 If your child’s dorm room already has a bed in it, be sure to check the mattress, box spring, and frame for tell-tale signs of bed bug activity. If you see anything suspicious, be sure to inform the dorm staff right away. Bed bugs also like to hide in places where people sit and hang out for long periods of time, and some dorm rooms have study areas that include desks, chairs, and sofas. If your child’s room has this type of furniture, be sure to check it for anything suspicious. Most dorm rooms come with window treatments already installed over the windows. Blackout curtains are frequently installed in dormitories, and they are one of the places in which bed bugs love to hide. Be sure to pull back the curtains and check in the folds for bed bug activity. Bed bugs like small, confined spaces. Oftentimes, they will hide along the bottom ledge or inside of electrical outlets. They have also been known to hide in electronics, like alarm clocks and radios. Don’t forget to check these items for signs of infestation. Need Help Checking for Bed Bugs? Checking for bed bugs is easy when you have professional assistance. 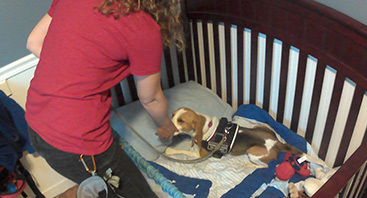 Advanced K9 Bed Bug Seekers provides Top Rated Local® bed bug detection services in Denver and the surrounding areas, and we would love to help you make sure your child’s dorm experience is as pleasant as possible. For more information about bed bugs or to schedule an inspection, contact us right away. We look forward to speaking with you!